Manchester United keen on Serie A forward? 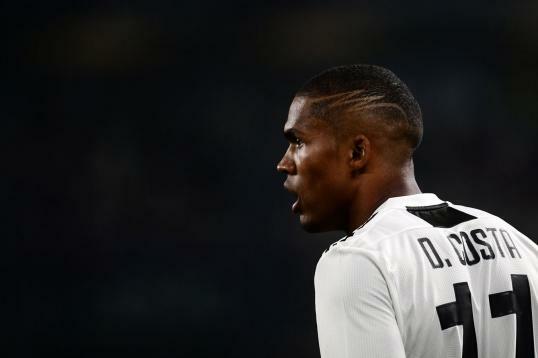 Juventus winger Douglas Costa has reportedly emerged as a transfer target for Manchester United, according to the Italia media outlet Tuttosport. The Red Devils are interested in a potential deal to sign the Brazil international this summer. The report adds that United could face competition from Premier League rivals Manchester City and Ligue 1 champions Paris Saint-Germain, who are both credited with an interest in the attacking midfielder. Juve are hoping a bidding war between the three clubs to drive up Costa’s transfer fee this summer. United board are ready to back their new permanent manager Ole Gunnar Solskjaer with a number of big signings at the end of the season. Costa, 28, enjoyed an impressive debut season at Turin after joining from Bayern Munich on loan in 2017.